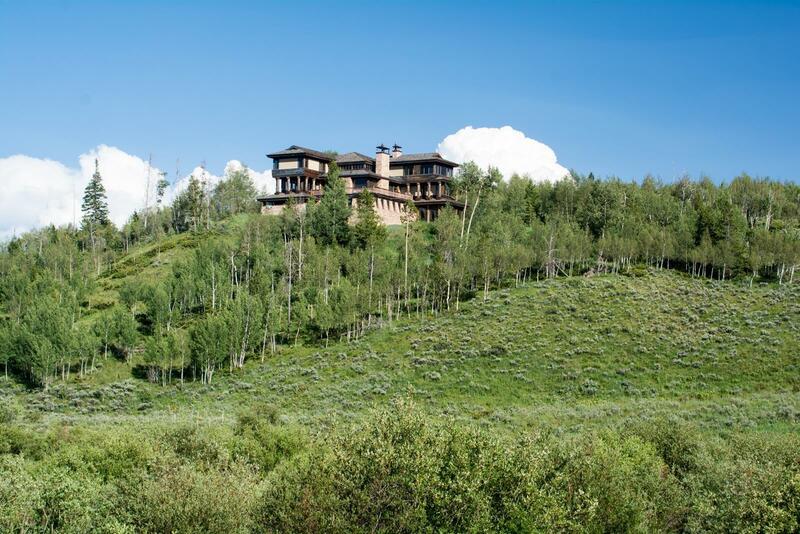 Minutes north of Silverthorne, Colorado, home sites in Ruby Ranch are spacious and surrounded by native forests. Custom built on large lots, any home for sale in Ruby Ranch will has its share of luxury and privacy. 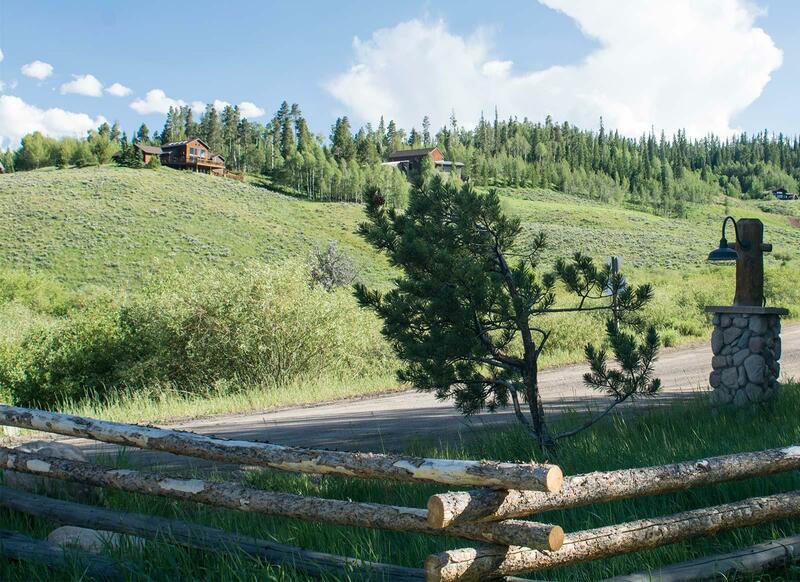 The lots are laid out along gently rising roads and face the Williams Fork Range, and both, this range and Ruby Ranch, overlook the Blue River Valley the runs through Silverthorne. Buffalo Mountain is out the back and rising. Trails run throughout the neighborhood and connect with trails up Buffalo and deeper into the Gore Range. Interested in the Ruby Ranch homes for sale? Browse below, or read more about the beautiful alpine homes available here. Custom-built homes on large lots - from 1/3 to 26 acres - create a neighborhood with unique character with plenty of undulating forest in between. The architectural style generally reflects the native materials of wood and stone and rarely break from the up-scale cabin in the woods feel dictated by the surroundings. Ruby Ranch was founded in 1916 - as a working ranch -- and still is one. The planned neighborhood began in the 1980s and allows for about six dozen lots. A few new homes are built every year and a little more than a quarter of the lots are still undeveloped. The water, road and ranch maintenance are managed by the Willow Brook Metro District. Natural gas and electricity are available. From Ruby Ranch hiking, biking and ski trails head up into the Gore Range. And in the ranch, you'll find an equestrian center. Cross mountain trails link Silverthorne to Willow Brook, but are not very well traveled. You'll find plenty of private time with the Rocky Mountains whatever the season. And, some of the best fishing in Summit County is just at the bottom of the valley. From Ruby Ranch, the Blue River is just a few minutes drive, or a downhill bike ride to the kind of river fly fisherman dream of. Built from: 1981 to the present, primarily single-family homes. Size: a few 2BD, mostly 3-5, with a few as large as 8BD. Acreage: a few duplexes sit on less than an acre each, but the vast majority of the Ruby Ranch lots are 1 acre or more, and a few are more than 10. The largest lot is currently 26 acres. From the I-70 Silverthorne Exit, head north about a mile and a half, to Ruby Ranch road on your left. Heading west, facing Buffalo Mountain and the Gore Range, you'll pass a gate and enter Ruby Ranch. Here you'll find the Ruby Ranch neighborhood of single-family homes on meandering roads like Emerald, Opal and Garnet, all lying just south of Willow Creek.